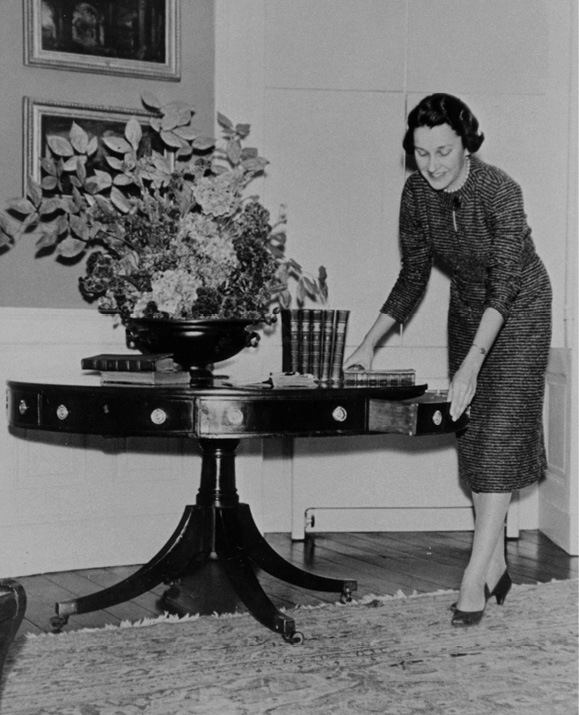 Historic Charleston Foundation’s Frances Edmunds readies a home for tour-goers in the 1950s. 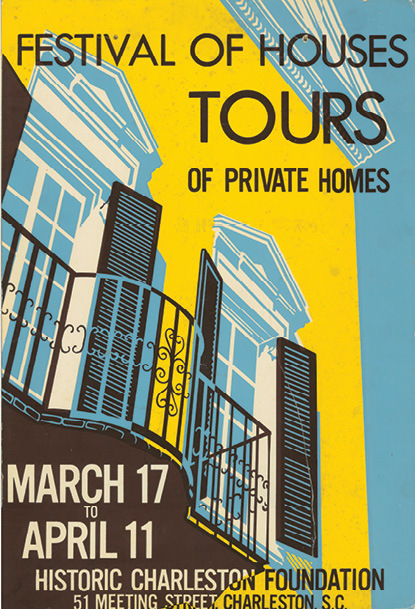 A 1950 poster boasts of 21 houses on tour. March is migration month. Just as surely as swallows return to San Juan Capistrano in California, so tourists return to Charleston. It’s not just spring that draws them in, but also the lure of Historic Charleston Foundation’s (HCF) Festival of Houses & Gardens, celebrating its 70th season this year. Founded in 1947, the foundation began to raise funds by working with homeowners who volunteered to open their houses to visitors—for a fee. 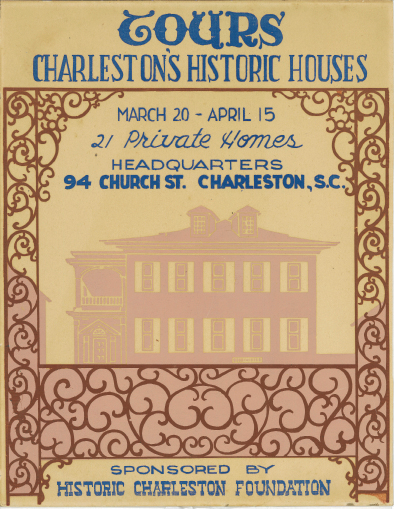 Moneys raised supported the nonprofit’s mission to preserve Charleston’s historic homes. Over the decades, HCF’s successes have been many, including saving and preserving the Nathaniel Russell House and rescuing the Ansonborough neighborhood from demolition by neglect. To accomplish that second task, in 1958, the foundation created a first-of-its-kind revolving fund that it used to purchase, renovate, and then sell historic properties, with profits going back to the organization. 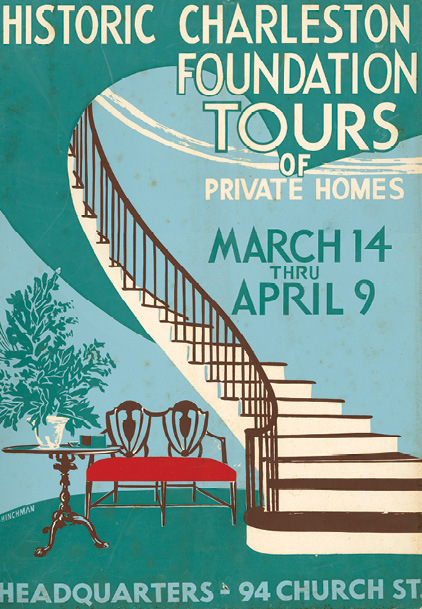 Every spring since 1948, citizens have continued pitching in to keep the home tours going. Pillows are fluffed, flowers arranged, and doors opened wide to let outsiders not only see in, but also witness how we rally to benefit the city we call home.